Departure from the hotel towards the city of Alta Gracia Provincial Route 5, passing through an important industrial area of the city of Cordoba. Arrival to the town of Alta Gracia. We visit the Museo del Virrey Liniers, formerly known as Jesuit Estancia of Alta Gracia. the characteristic Tajamar, the Jesuit church building, the Casa del Che Guevara and the house of Manuel de Falla. Return to Cordoba Highway Falda del Carmen and Ing. Justiniano Allende Posse. Duration approximately 4 hours. Museum entrence fee don’t included. Early departure towards the town of Jesús María along National Route Nº 9 which nowadays coincides with the ancient route of the ‘Camino Real al Alto Perú’, visiting: Jesus Maria’s National Jesuit Museum, ranch purchased by the Jesuits in 1618. 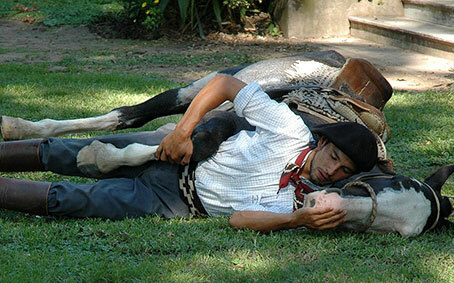 Anfiteatro de Doma y Folklore: the place where every January the ‘Festival Nacional de Doma y Folklore’ is held. Colonia Caroya: Town of Italian immigrants, famous for the production of sausages, canned food and confectionary. Caroya House: The place where the first factory of weapons (knives) in the country was established in 1815 and hosted guests as Gral. Belgrano and Gral. San Martín. Currently, it hosts a museum of handicrafts and colonization objects. 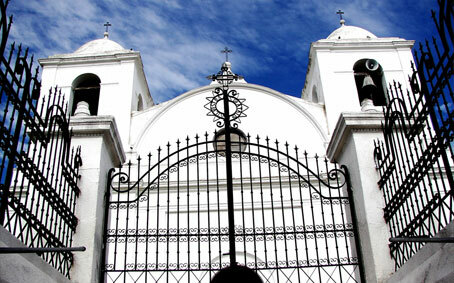 Then, the Church and Jesuit Ranch Santa Catalina are visited. 15 kms to the South there is the town of Ascochinga, slightly undulating area with excessive vegetation. Visit to Sagrado Corazón de Jesús Chapel, heading the south we get to the ‘Granja’ where many German style villas can be found. 7 kms to the south we get to Agua de Oro, where a road takes us to the famous Candonga Chapel. It belonged to the Jesuits and dates back to 1730. 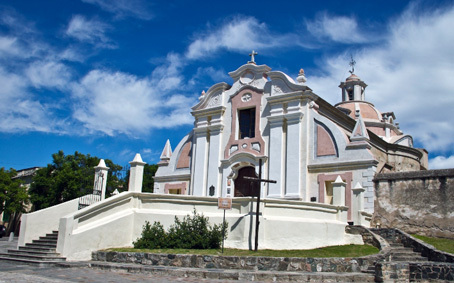 The ‘Virgen Del Rosario’ is worshiped in its altar and it was decorated by the indigenous, it is a National Historic Monument. Finally, the tourist towns of Manzano, Salsipuedes and Río Ceballos will be visited from where you will return to Córdoba city. Let’s bring back life as it was here back in 1914, entirely isolated from the rest of the world. 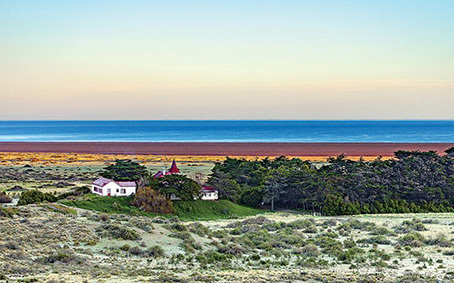 After sailing Lake Argentino, we will have plenty of time to visit the Museo Costumbrista (Museum of Traditional Habits), the Main House, the Waterwheel, the Chapel and the Cemetery. For those enjoying long walks, they will be able to reach Los Perros waterfall. Lunch at the quincho. 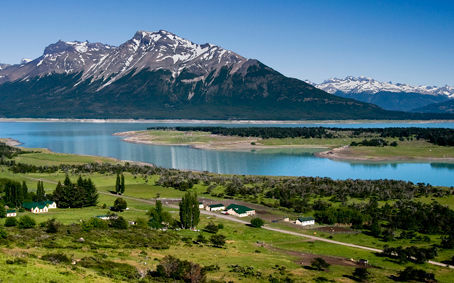 Sailing Lake Argentino + Spegazzini glacier + Historic tour: The Museum and the Estancia’s main house + Hikking to Cascada de los Perros. Boarding and departure at port Punta Bandera at 8.15 hours in our modern and comfortable boat. Sailing among icebergs and stunning scenery overlooking Spegazzini glacier and then through Cristina Canal to the point of disembark at the Estancia. 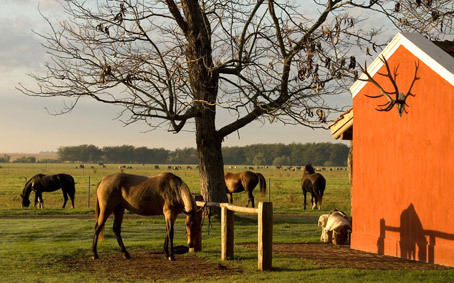 Arrival Estancia Cristina and stay at the Estancia for 6 hours. Return to the boat 17:30hs. Arrival to Puerto Bandera approximately 19:00hs. 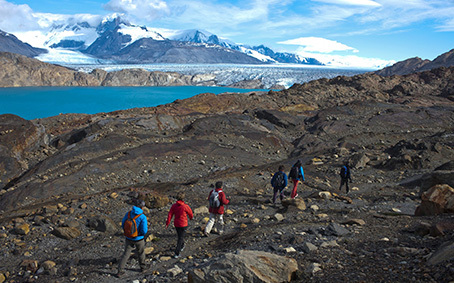 If you would like to visit the Upsala glacier and the Estancia, the Discovery is the most suitable option. 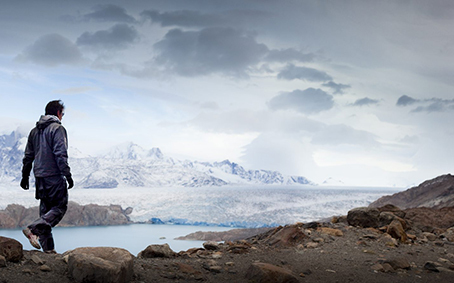 It is certainly an ideal combination of adventure, glaciers and history. The 4×4 ride uphill runs through a mountain trail among forests and rivers, until reaching the viewpoint of the Upsala glacier, with views to the South Patagonic Ice Field. The immensity of the landscape is very moving. Tour to the Estancia, Museo Costumbrista, Chapel. Lunch at the Quincho. 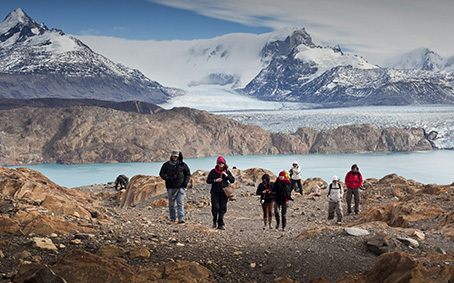 Sailing Lake Argentino + Spegazzini glacier + 4×4 rides to the Upsala viewpoint + Historic tour: The Museum and the Estancia’s main house. Boarding and departure at port Punta Bandera at 8.15 hours in our modern and comfortable boat. Sailing among icebergs and stunning scenery overlooking the Spegazzini glacier and then through Cristina Canal to the point of disembark at the Estancia at 11:30 hs. Stay at the Estancia for 6 hours. 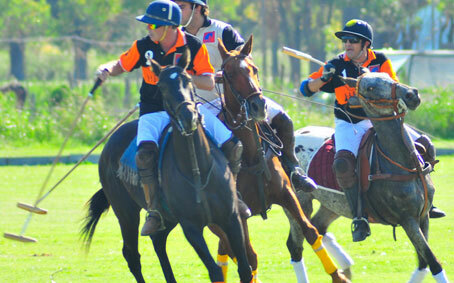 Return to the farm house of the Estancia and board at 17:30 hs. Arrival to Puerto Banderas at 19: hs approximately. NOTE: if the maximum number of passengers is exceeded, visitors will be divided in turns by the tour coordinator of the Estancia. 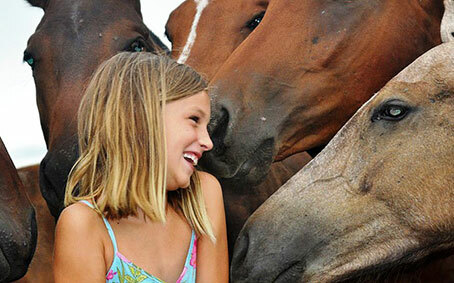 This program is perfect to experience the Patagonian rural life and complements the tour to the glaciers. 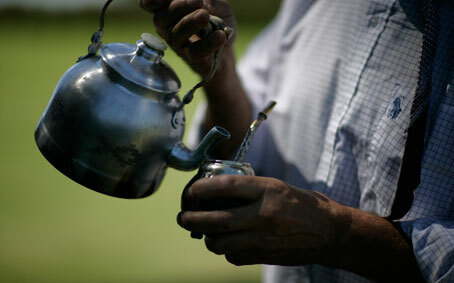 Regular departure at 8.30 am; reception with tea, coffee, mate and home-made cakes and pastries and at 10.30 am starting of activities: walk around the historic old estancia (ranch), cow milking and visit to the vegetable plot. At 12.30 noon lunch is served: roast lamb with salads and dessert + a glass of wine or soft drink per person during the meal. Return to El Calafate at 3:30 pm.